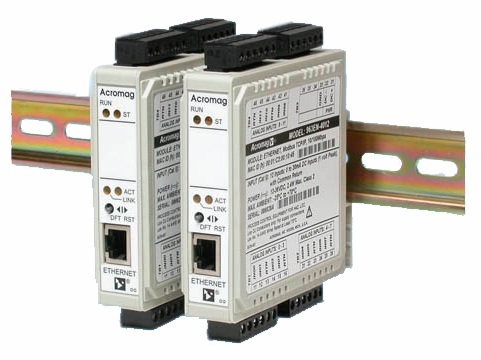 These modules interface high-level analog input signals to an Ethernet control network with a high-performance design to ensure reliable measurements and dependable operation. – ±5V, ±10V DC (selectable on each channel). – 18 to 36V DC, 2.0W. – 994EN-4016: Less than 0.05% of range. – 994EN-4C16: Less than 0.10% of range. – 994EN-4016: -40 to 70°C (-40 to 158°F). – 994EN-4C16: 0 to 55°C (32 to 131°F).